​I chose this topic because I love to investigate forests and I love to help stuff that is endangered. The Longleaf pine forest is an endangered forest with trees, plants and animals creating it’s own ecosystem. The Longleaf pine forests is a group of trees located in Georgia.The humans are impacting the Longleaf pine forest ecosystem in many ways. What is the Longleaf pine forest? The Longleaf pine forest is a forest with a endangered ecosystem. The Longleaf pine forest is a very bad endangered forest with almost every plant and animal endangered. There are 90% more plant species in the Longleaf pine forest. The Longleaf pine forest is a forest with many of animals. 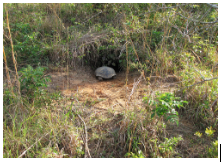 For example, there is a gopher tortoise that is endangered in the Longleaf pine forest. There is also a Red cockoed woodpecker that is endangered in the Longleaf pine forest. 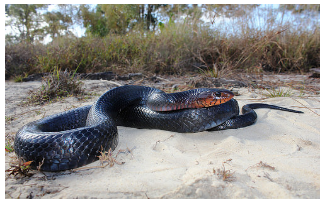 Last but not least there is a indigo snake that is endangered in the Longleaf pine forest. Did you know that the Longleaf pine forest needs fires to grow? How do people impact the Longleaf pine forest? The people are impacting the Longleaf pine forest by making a lot of bad fire and wildfire and not making GOOD FIRE!!! Some people are impacting the Longleaf pine forest by cutting down trees and not planting 4 to 8 trees in the same spot. Some other people are impacting the Longleaf pine forest by killing the GOOD ANIMALS in the Longleaf pine forest SO DON’T DO THAT. What can we do to help the Longleaf pine forest? To help the Longleaf pine forest we can make more laws and keep the laws we already have for the Longleaf pine forest to keep it safe. We can stop making bad fire and wildfire and make more good fire and let's do that NOW! We can also keep planting 4 to 8 trees in the same spot. I hope you can help the Longleaf pine forest and save the Longleaf pine forest. You can donate some money to the Longleaf alliance so it can be saved. So if you can, GO HELP THE LONGLEAF PINE FOREST!!! And I hope you learned something.